Sichuan is known as the province of abundance in China. Since Deng Xiaoping’s ‘Go West’ policy in 2000 to promote inland development, Sichuan’s GDP far outweighed the national rate, branding itself as driver of China’s economic growth. An area of significant growth in Sichuan is Chengdu, the provincial capital and most prosperous city in the region. As the biggest driver of growth within Sichuan, the city is keen on developing “six new economic forms”. These include a mature digital economy and a smart economy to advance the region. Recognising the region’s potential twenty-two years ago, Singapore and Sichuan have had a long history of economic relations. The Singapore-Sichuan Trade and Investment Committee (SSTIC) was set up in May 1996 as a bilateral economic framework to strengthen Singapore’s economic relations with the Sichuan province. SSTIC is a public and private initiative. Six years ago, work began in Sichuan to develop an integrated urban development. Jointly launched by Singapore and Sichuan government, the Singapore-Sichuan Hi-Tech Innovation Park (SSCIP) is designed to be a town driven by innovative technologies and enterprises. 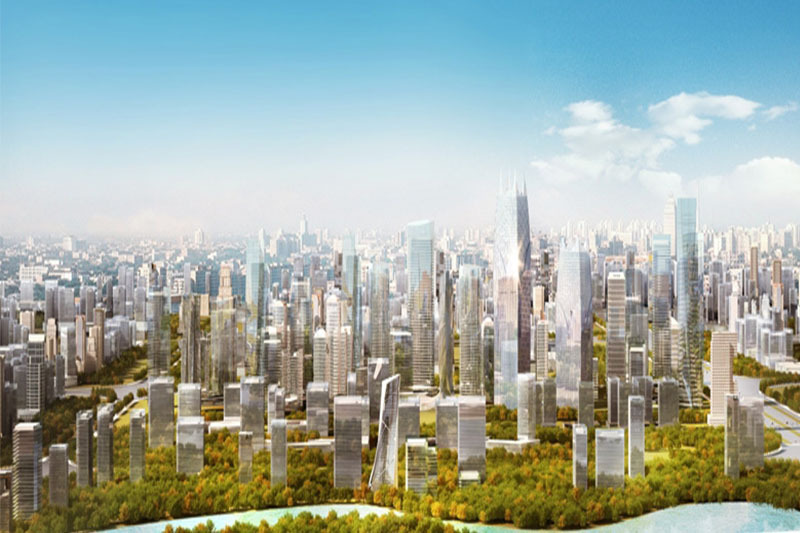 A city of the future, SSCIP combines Singapore’s urban planning expertise with Sichuan’s rich resources. Almost a year to the expected date of completion in 2020, Enterprise Singapore announced a host of Singapore companies ink twelve technology and innovation Memoranda of Understanding (MoUs). Another ten MoUs relating to education, lifestyle, logistics and tourism were signed. Trade between Sichuan and Singapore reached a trade volume of USD 1 billion last year, a year-on-year increase of 21.5%. In 2018, Singapore hopes to be a part of Sichuan’s focus on integrating itself into the national Belt Road Initiative and Yangtze River Economic Belt strategies. These initiatives hold a significant amount of potential for Singapore and Chinese companies to work on high-tech development projects. The press release notes business partnerships in the areas of transport and logistics, trade and financial connectivity and professional services. Sichuan is looking to attract investments to upgrade its industries by promoting technology and e-services in traditional sectors. These innovations are significant as both parties’ economies are innovation driven. The MoUs facilitate a flurry of idea exchange and launches opportunities for innovation co-creation. Thus, deeper collaboration in tech and innovation will benefit both economies. Small and medium sized enterprises (SMEs) are not lukewarm to the opportunities Sichuan provides. The press release reports close to thirty such businesses which have taken a leap of faith into the Chinese market with the help of Enterprise Singapore. Singapore SMEs use China as a launchpad to test the viability and demand for their product before scaling up. One such example is a homegrown cloud-tagging solutions company. Just last week, the company launched its first unmanned supermarket and food booth in CaptiaMall, Meili City, Chengdu, China. A key area of focus for most of the MoUs is in creating co-working spaces and incubators. These are more than just a cool millennial hype. Disruptive economies question traditional work practices and focuses on collaborative environments to buzz ideas. Co-working spaces work to improve space inefficiencies and overcome policing type environments. One of the incubators in Chengdu will work with a Singapore based fintech incubator to provide a shared facility for fintech, blockchain, artificial intelligence and big data related startups. Industries which may expect to see a tech revolution from the partnership are education, healthcare, tourism, food and beverage, and surprisingly even livestock. However, it isn’t a one-sided affair. Sichuan companies can also leverage on Singapore’s established capital market to fund their expansion into the region or investment opportunities in countries along the Belt and Road.